You are here: Home / Reviews / Primus OmniFuel: The best mountaineering stove? I guess mountaineering stoves are a lot like cars or dogs; you always have a soft spot for the first one you ever owned. So although I haven’t used it for year (in fact my father nabbed it back) I still have happy feelings for my old Optimus Svea. This was a real jet engine on afterburner that was fiddly to light, seemed always on the verge of overheating and exploding when I used a big pot on it (it reflected a lot of the heat back into the pressurised fuel tank) and it always wanted to tip over. That said it never let me down and always worked. I’ve since moved on to a MSR Dragonfly and love it. But I still keep a close eye on what the Scandinavians are doing and both Optimus and Primus have produced some great stoves in recent years. 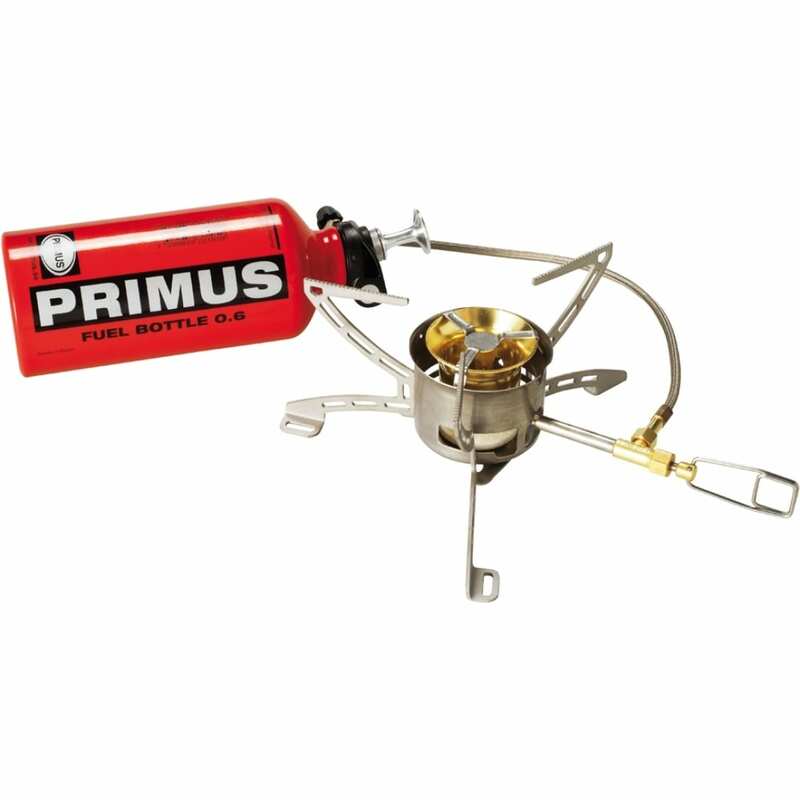 The one with a strong claim to being the best mountaineering stove must be the Primus OmniFuel. For seven years in a row now when the magazine Outdoor (it’s in German) asked its readers to vote on what they thought was the best bit of gear for the year, they voted for the OmniFuel. And with good reason. It will burn anything. Not just all of the usual liquid fuels (kerosene, diesel, white gas etc) but it also takes pressurized gas canisters. It is reasonably light, boils water quickly and scores well for how efficiently it burns fuel. It is also low on the ground and stable. Some guides also recommend its Power Gas canisters which are available in many trekking and climbing areas such as Nepal. All in all it is not just mountaineers who should be taking a close look at this stove as it also makes a versatile backpacking stove. Still, it is pricey and most hikers wouldn’t need the full list of expedition-ready features that this offers as there are plenty of very good and somewhat cheaper backpacking stoves out there. Would I put my neck out and say that this is the best mountaineering stove ever? Probably not, but it sure must rank up there.